Lt. Cdr. Michael C. Grubb, USN, and Gabriel Collins, “Chinese Shipbuilding: Growing Fast, But How Good Is It?” U.S. Naval Institute Proceedings, Vol. 134, No. 3 (March 2008). 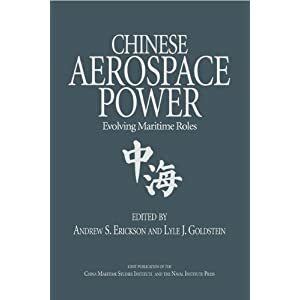 China’s rapid technical advances in shipbuilding, and the industry’s dual civilian-military role, raises the strategically important question of how its growing commercial shipbuilding prowess might facilitate naval modernization. The People’s Republic of China’s (PRC) central government recently affirmed shipbuilding as a “strategic industry” in need of “special oversight and support.” This stems from its ability to create jobs in shipyards, marine sub-component sectors, and supporting industries such as the steel industry, thus helping to meet national economic growth objectives in a country that must create more than ten million urban jobs each year. 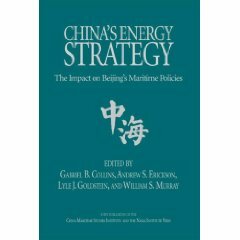 Shipbuilding also garners its “strategic” moniker due to its unique status as both a driver and beneficiary of China’s growing slice of the global maritime pie. 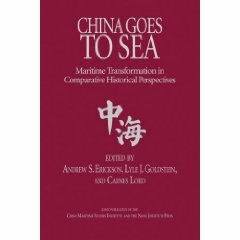 The maritime industry directly accounted for approximately ten percent of China’s GDP in 2006, and China’s overall dependence on the maritime sector is even higher given China’s reliance on seaborne shipping to import vast quantities of raw materials and move equally large amounts of finished goods to markets overseas. Finally, while many yards are still nominally state-owned, in practice, Beijing’s maritime policymaking must react to rapidly evolving commercial shipbuilding market forces and shipping interests that pull policymakers in their wake. Driven by these forces, the Chinese shipbuilding industry’s growth has been explosive. From producing only 220,000 deadweight tonnes of commercial shipping in 1980, shipyards in the PRC launched over 13 million tonnes of new ships in 2006, and are on pace to exceed 20 million tonnes annually by 2010. Furthermore, total Chinese maritime trade is expected to reach one trillion dollars annually by 2020, much of which will be carried in Chinese-built merchant vessels. Although international commercial sales currently account for the vast majority of tonnage output, the recent emergence of Luyang II-class (Type 052C) air-defense destroyers, Jiangkai-class (Type 054) “stealth” frigates, and two new classes of nuclear-powered submarines from PRC shipyards raises questions regarding the degree to which China’s commercial shipbuilding prowess is contributing to modernization of the People’s Liberation Army Navy (PLAN). 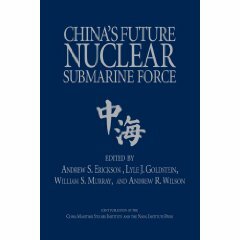 All of these classes represent notable advances in technology and complexity over previous Chinese warships, and the shipyards that produced them are simultaneously engaged in both military and commercial construction.